Motorola has new phones for Verizon coming very soon, in case you hadn't heard. We've already seen a pretty convincing leak of the DROID MAXX, a Kevlar-cloaked updated version of Moto's DROID RAZR MAXX HD. Leakster extraordinaire Evleaks just posted another press shot, this time showing off the DROID Mini (or possibly MINI) next to the DROID Ultra and the nearly identical DROID MAXX with a bigger battery. 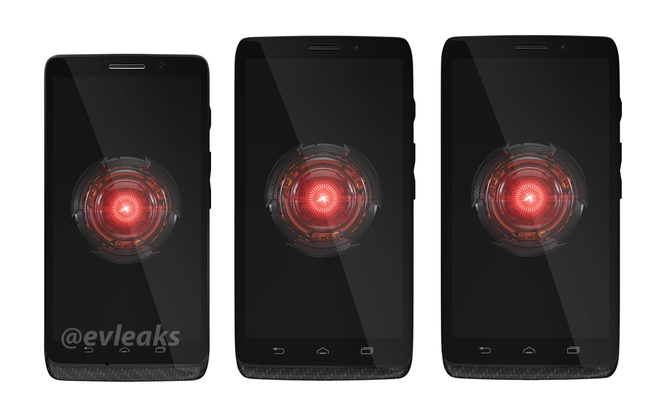 The Mini and Ultra are assumed to be updated versions of the DROID RAZR M and DROID RAZR HD, respectively. Now pardon me, I need to get a new Shift key for my keyboard. There's still very little known about the next generation of Motorola DROIDs, aside from the fact that it almost certainly won't include a version of the much-hyped Moto X phone. (Whether or not that phone will make it to Verizon is another question entirely.) 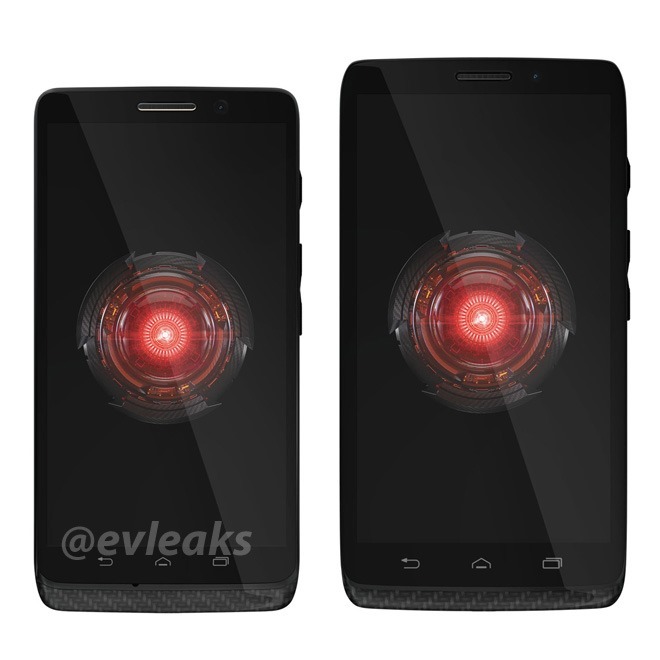 But according to yet another Evleaks tweet, the new line of DROIDs will include a different type of camera. The scuttlebutt is that they'll pack RGBC image sensors for much better low-light performance. You can also infer from the above shot that all three phones will have a body shell that's almost entirely made out of Kevlar, keeping the RAZRs firmly in the land of non-removable batteries, and that Moto has made the odd design choice to switch back to capacitive navigation buttons. As a very happy owner of the DROID RAZR M, I'm quite excited to see what Moto does next. This is just guessing since there's no scale reference in the photo above, but I'd wager that the DROID Mini is packing a 4.5" screen with the larger phones stretching towards 5 inches. Based on Moto's previous RAZRs, you can expect international non-DROID variants to come out some time after the Verizon launch, which is rumored for early August.